Mr Toma, how would you describe the city of Buzău briefly? What would you like our audience to know about it? The writen history of Buzău begins in 374 AD, it has 133,000 inhabitants in a county of 450,000 inhabitants and it has 33% mountain, 33% hill and 33% plain, where the city is located. At only 110 km from Bucharest, the capital of Romania, Buzău has the chance to be located at the intersection of the three major historical regions of Romania - Transylvania, Moldova and Muntenia (being a part of it), a fact that helped its development in history as a commercial town. We are constantly trying to recover our local history, in order to be more confident as inhabitants of Buzău. 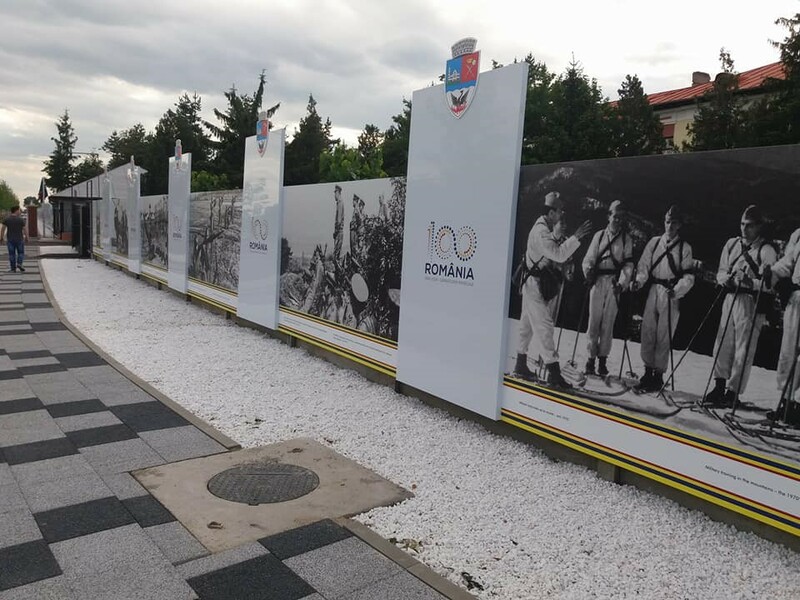 Thus, only last year we rehabilitated the largest Cemetery of Heroes in Romania, in which there are buried alongside Romanians, Germans, Russians, Austrians, Italians, Bulgarians, Turks, Jews, and we inaugurated probably the world's largest open-air historical photo gallery (632 m) on the new street, The Heroes Way. Buzău is one of the main important railway hubs in Romania, how does this favor the development of the city? As a major hub and road junction, Buzău has developed a strong food industry (the largest brewery and the only beer malt producer in Romania, the largest canned vegetable factory in the country, but also the largest sunflower oil factory in Romania), a metal industry, an important textile industry, and also the largest recycling company in South East Europe. In fact, 95% of all money raised in the local Treasury is from companies and only 5% from the population. Buzău City Hall is among the most active in Romania in receiving European funding. Please, tell us more about the most important EU supported projects. We have already submitted projects or concluded contracts with EU of over 60 million euros, the most important ones include the improvement of urban mobility and regeneration of urban space. What are you doing to attract investors and strategic projects? Together with a team of 40 valuable volunteers, we set up a Buzău Development Council, and after 18 months and many public debates, with hundreds of people, we launched a "12-year Strategic Plan for the Development of the City" - 2018-2030. We have a Vision: "Buzău - magnet city!" We have a Mission: "Buzău to achieve so much attractiveness and competitiveness for its inhabitants, for investors and for visitors, so that it becomes the most important city in South East Romania", where there are about 3 million inhabitants within 120 km! I am convinced that if we improve the attractiveness and competitiveness of our city, we will attract more investors and strategic projects. But for this we must always be creative, innovative and diligent, and give the inhabitants of Buzau confidence and hope for a better future! TheMayor.eu is a unified platform for the European municipalities, where the citizens can get the latest information about what is taking place in the European Union. How can the portal be useful to you and to the citizens of Buzău? The platform would be more useful if it were in Romanian and included as many examples of mayors who have succeeded, and the inhabitants have become happier. Of course, you must also have an intense promotion of the platform, especially through associations of municipalities or cities, which exist in Romania as well as in the European Union. The main target for 2030 is the achievement of the vision "Buzău - magnet city", where we already have established, as I have mentioned, 70 goals to be met. 1. Implementation of the Kaizen or Lean management - continuous improvement, which only in 2018 brought a time saving of 180 years for the citizens of Buzău in public administration, both in the mayor's own department and in the companies serving the town hall, all response times of the town hall for the citizens being reduced between 30 and 90%. Also, by applying the Kaizen standards, we have had additional revenues of about 4 million euros. Buzău has the greatest tradition in Romania in growing vegetables and care for land, plants, animals and care for man can be put in harmony by this healthy permacultural agriculture concept. We have begun several studies to salvage as much rainwater as possible and from the city's wastewater treatment plant, and, in future years, we want to make as many lakes around Buzău and as many water reservoirs as possible in the city. We plan to develop an educational center for permaculture and healthy food, as well as several permaculture gardens inside the city.